Just over a month away til Christmas, which means the malls are packed, people are getting cranky, and for those of us who haven’t started to shop yet, might be starting to panic that they’re not going to give all of their holiday shopping done in time. The LUSH Holiday Collection has spoiled us this season and made our shopping a whole lot easier with a bunch of new gifts and holiday themed bath goodies to please anyone on your holiday list. 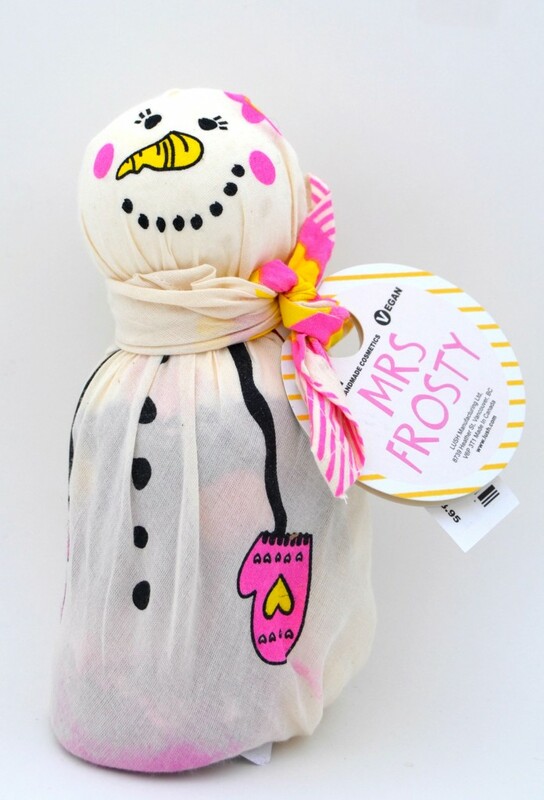 Lets take a minute to talk about how cute Mrs. Frosty is, she’s Mr. Frosty’s sweeter half and comes with 3 sweet bath treats packaged in re-usable LUSH organic cotton knot wraps for relaxing, luxurious, sweet and fruity baths this holiday season. The Comforter Bubble Bar is a sweet and fruity blackcurrant scented bar and it gets its name for the ability to envelop you in soft and warm layers of pink bubbles, much like a downy comforter would in the middle of winter. This bar is pretty big, so I suggest breaking it in half and getting two baths out of it. Butterball Bath Bomb is a vanilla scented, cocoa butter and ylang ylang fizz bath bomb that gives your skin a softening effect after each bath. Luxury LUSH Pud is infused with lavender, sweet benzoin and comforting tonka absolute and is ever so relaxing after a long day of shopping. This bath bomb will make your bath water turn purple and have pastel floating “islands” that will slowly dissolve. This little cutie retails for $23.95. Everyone knows I have a soft spot for penguins, even have a tattoo of one on my wrist, which is in honor of my BFF that passed away from cancer 5 years ago (she’s always had a thing for penguins) so this Christmas LUSH Penguin Bubble Bar has to be my favourite out of the collection and I’m not sure if I’ll be able to bring myself to use it this holiday season? Right now, he has a nice home on my bathroom counter and he might stay there for a very long time? 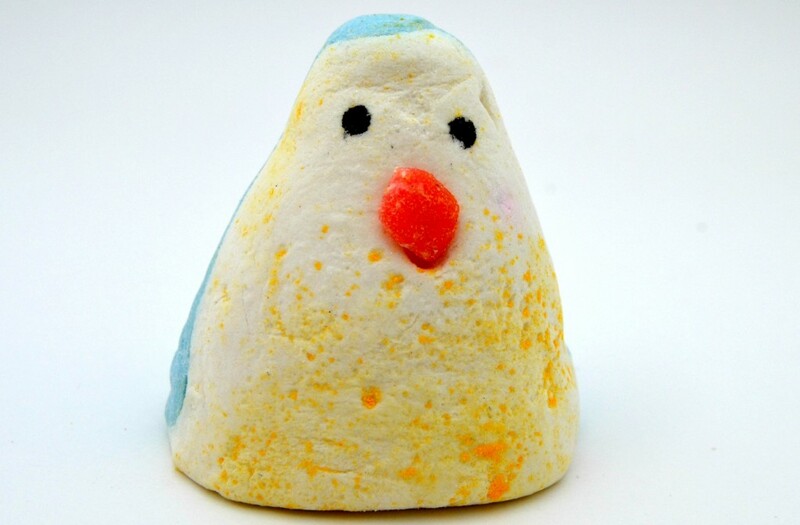 This little cutie is inspired by the smallest penguins in the world, found on Philip Island in Australia and is scented with orange flower & bergamot. You crumble this little guy under running water and let the scents take over, it’s the perfect way to relax after a long stressful day. It retails for $7.45. 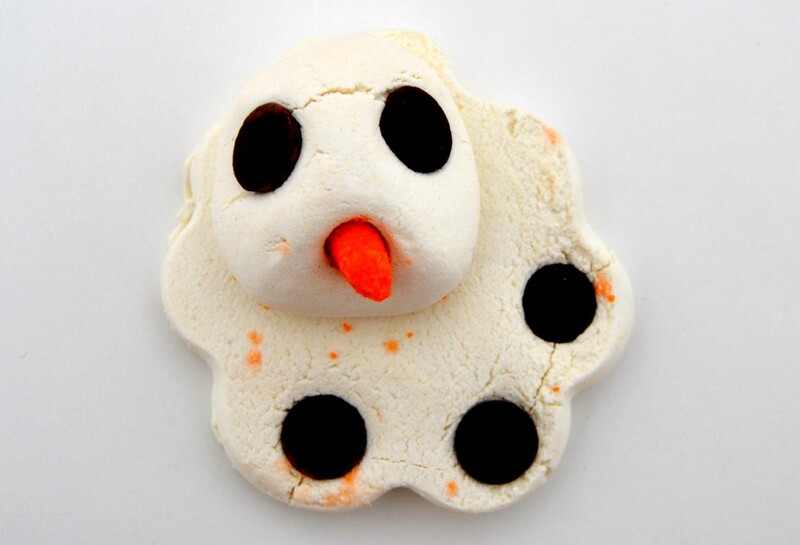 LUSH Melting Snowman smells delicious and is perfect for Christmas time as the warm blend of spicy cinnamon and clove leaf oils takeover your bathroom. It’s sweetened with orange and lime creating the perfect balance between spicy and sweet. It contains rich moisturizing ingredients like cocoa and shea butter along with almond oil to keep skin hydrated and silky soft. Melting Snowman really does melt in the bath, just like a real snowman would melt outside when he comes in contact with warmer temperatures. Drop this into your hot bath and watch as he melts away turning your water into a beautiful milky, silky white that leaves your skin highly moisturized, no need for body lotion afterwards. It retails for $5.95. As December creeps upon us and we feel the snow getting closer and closer, lathering up with LUSH’s best-selling holiday soap, Snow Globe, will be a delightful treat. With its yummy scents of grapefruit, lemon myrtle and ylang ylang oils this perfect combination will create a bright, sunny scent that’s sweet and citrusy that will bring a ray of sunshine on a grey winter morning. 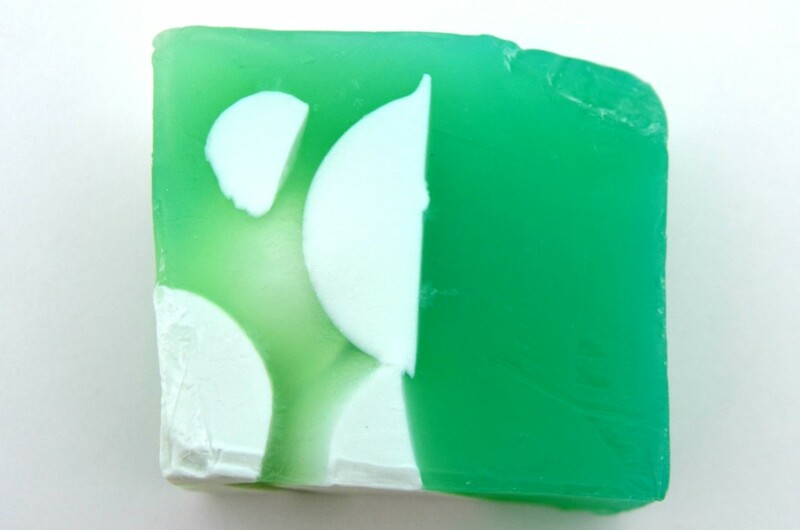 This soap will totally wake you up in the morning on those cold, dark wintery days when you just want to stay in bed and hide under the covers. It retails for $7.95 for 100ml. I’ve I said over and over again, I’m a bath girl and the hotter the better. My husband always says it’s too hot, it’s almost boiling hot water and that it can’t be good for my skin; for once, I think he’s actually right? 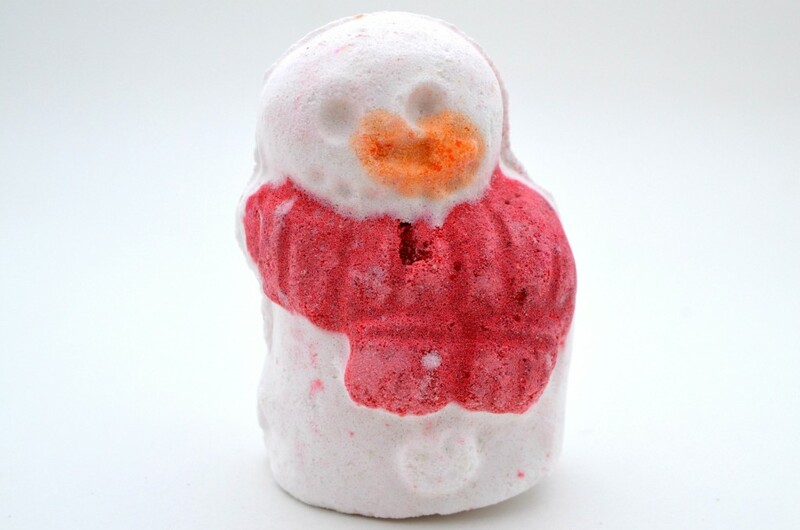 Never the less, I still enjoy a nice, long, steaming hot bath which can be drying to the skin, but thankfully for me, this season LUSH Butterball Bath Bomb has been transformed into a dashing Snowman with a red scarf and carrot nose. It features vanilla and ylang ylang fragrance for relaxation, and cocoa butter chunks that dissolve to help moisturise the skin. It not only smells amazing in the bath but the generous amount of cocoa butter leaves my skin extra soft, highly moisturized and keeps my skin hydrated all day long. It retails for $5.95. LUSH Snow Fairy Sweet is pink, sparkly, candy scented and is always sold out the beginning of November; it’s that good! It has a yummy bubble-gum and sweet vanilla fragrance that creates fluffy pink bubbles in the shower and bath and contains “Fairy Dust” aka biodegradable shimmering luster. I really can’t put into words how amazing this smells, it’s like cotton-candy, bubble-gum, fruitiness and vanilla all rolled into one. It has tiny, shiny gold glitter to it that washes off pretty easily and I love that you can use it as a shower gel, add a little to your shampoo for extra shine or add a little to running bath water to get a ton of scented bubbles. It retails for $9.95 for 100ml, $19.95 for 250ml and $29.95 for 500ml. 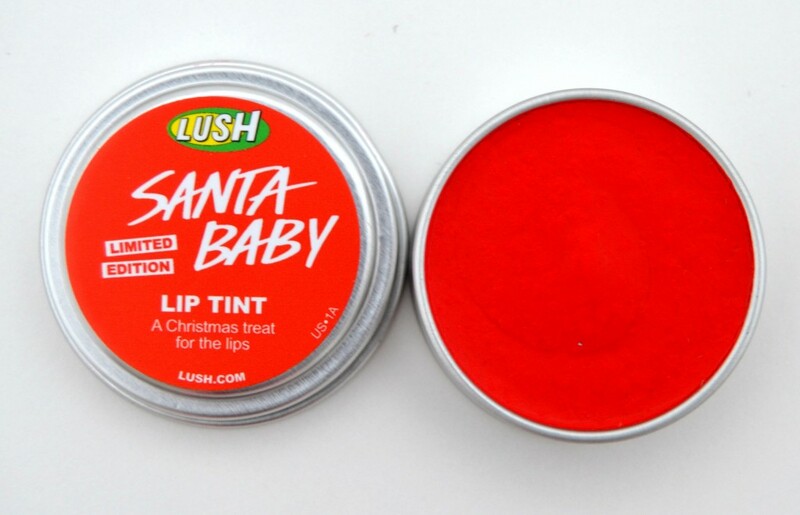 Santa Baby is a deep, classic cherry coloured, limited edition, cola scented lip tint. It comes housed in a small aluminum tin and provides a colourful moisture boost to your lips thanks to its rich, Fair Trade Shea butter and cocoa butters. It helps to keep lips soft, hydrated and nourished during these chilly winter months with its rich vitamin carrot oil. I love that it’s not only a lip balm but it adds a little colour to the lips as well. You can get a subtle look with just a small amount added to the lips or use more generously for a brighter red pout, perfect for drawing in that certain someone under the mistletoe this holiday! It retails for $8.95. 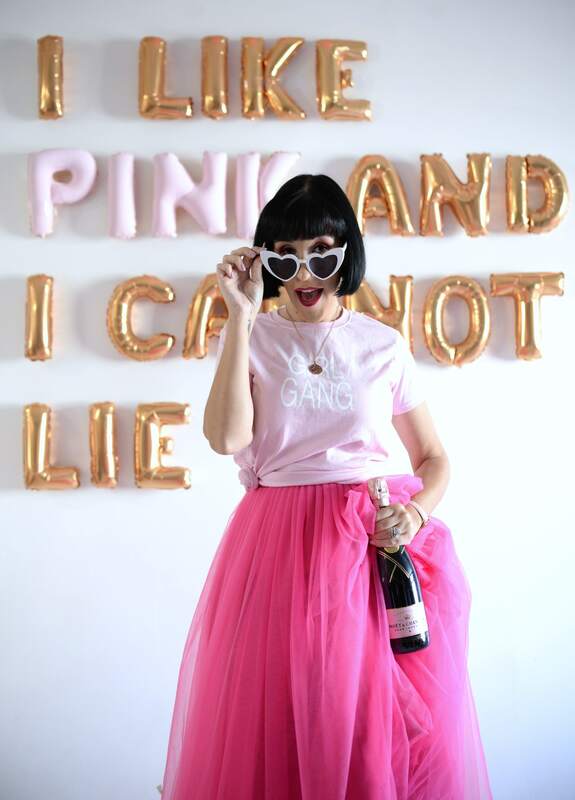 I would love to know what’s on your LUSH Holiday Wish-List? Snow Fairy is my fave scent of all time! They also just released a Climate Revolution knot wrap (scarf) by Vivienne Westwood. Think I may pick that up!